What a joy it was to have our friends over for lunch this Sunday! We shared some delicious barbecue, ate more dessert than we should have, and even got to crawl around a real fire truck. These heroes put their lives on the line daily for all the residents of Trophy Club. 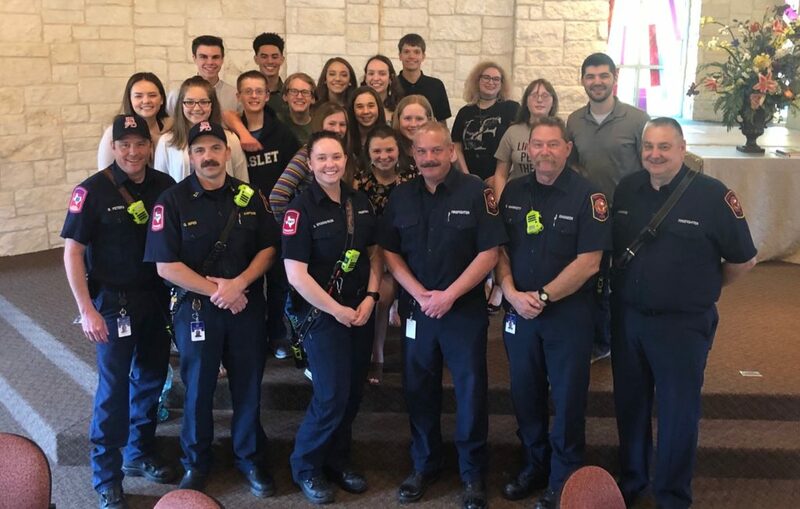 Whether they are teaching fire safety in schools, inspecting buildings, or putting out fires these brave men and women embody the lesson Jesus taught us so long ago. I’m thankful our teens and little ones have people like this to look up to and serve. Keep up all the good work and know that our table is always open to you all any day and any time. May the Lord bless and keep you and watch over you as you watch over us!